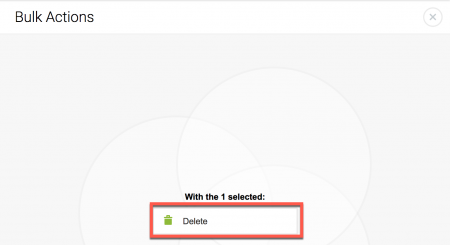 Smart Groups make it easy to quickly create a group then apply policies to all users within the group. For example, create a Smart Group if you need to provide your entire staff with a device policy that allows the use of the device’s camera. Note: Smart groups are assigned to users – not devices. Also, Smart Groups can only be created for subgroups within your organization (schools, courses, or pre-existing groups). Navigate to the Groups > Smart Groups (tab) page from the main navigation menu. 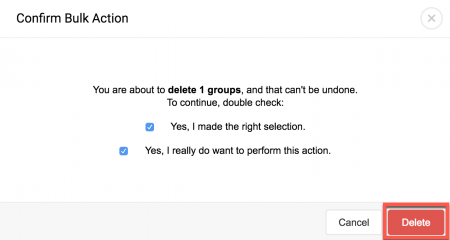 Open the Group Switcher, navigate to, and select the group that you want to create the Smart Group within. In this example, we will create a Smart Group comprised of all staff members at the Touring Magnet School (part of the Southern Academy organization). Click the Add button next to the Group search bar. The Add Smart Group window opens. Enter a name for this group, select a User Type (Staff & Students, Staff, and Students), and select a grade (All grade levels or any grade level Pre-K through 12th grade). 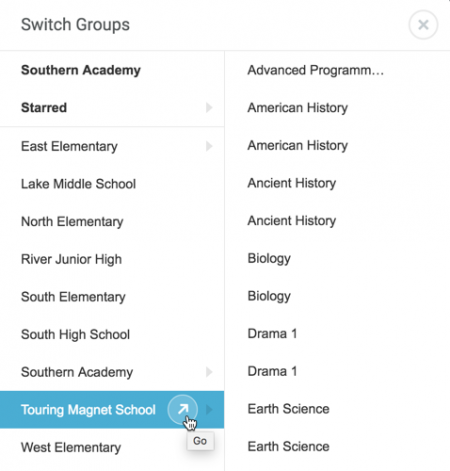 For our example, we’re going to name the group TMS Staff, select Staff (user type), and Any Grade Level. To delete a Smart Group, navigate to the Group > Smart Groups (tab) page and select the box next to the Smart Group name. The Bulk Actions window opens. Click the Delete button. A window displays, requiring confirmation before deleting the Smart Group. Select both confirmation boxes then click the DELETE button.